You are currently browsing the daily archive for April 30, 2007. Let me repost this photo from yesterday. 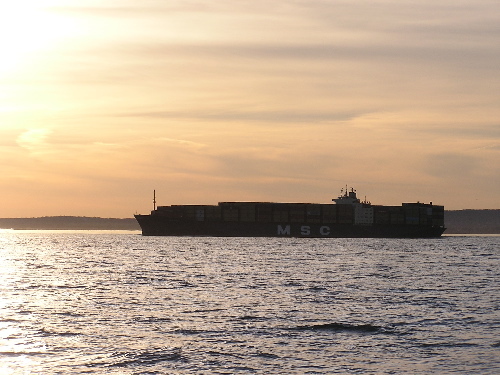 And here just enough for me to identify the vessel as MSC Tampa. So yesterday I said . . . it seemed skulking out of port toward darkness, knowing of an embarrassing incident captured in this article less than a month ago. 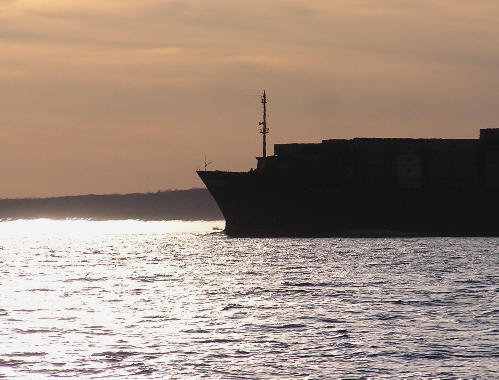 Maybe the memory of fellow fleetster MSC Napoli (scroll to bottom) is quite fresh. Whatever became of Napoli? 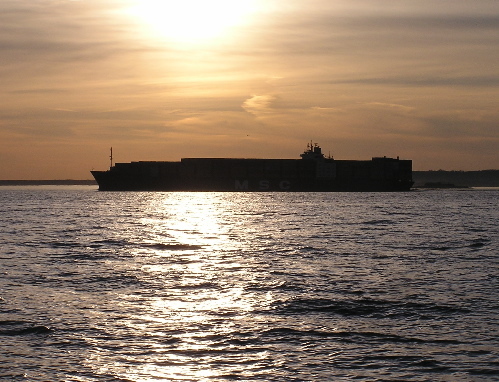 I don’t mean to pick on MSC; I own up to my gargantuan share of faux pas, misdeeds and accidents. Risk safely.